Profile: A sweet, kind, and loyal Auto-bot to her friends, Arcee is also a merciless, lethal warrior to her enemies. 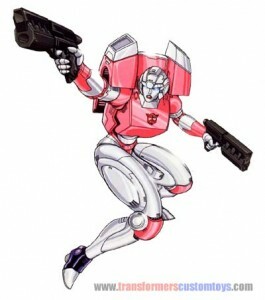 Arcee’s intelligence, quick wit, and coolness under fire make her invaluable to the Autobot cause. The Decepticons constantly underrate her be-cause, since to them she so closely resembles the female humans of Earth which the Decepticons have absolutely no respect for, they believe she is beneath their consideration. 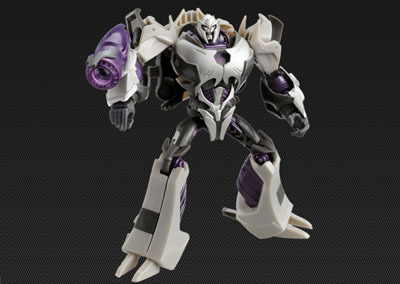 It is an attitude that Arcee exploits with deadly efficiency. Arcee is very protective of the human, Danny Witwicky, son of Spike Witwicky, the long-time Earthling friend of the Autobots. In fact, sometimes Arcee is a bit overly protective of him and treats Danny almost like a fragile Ming vase since his skin is not com-posed of a supremely tough metal alloy like hers. Arcee is attracted to the Autobot, Hot Rod, who reciprocates the affection. But neither of them is willing to admit it openly. If one were to listen to the verbal pot-shots they take at each other, one would think that they were the bitterest of enemies. 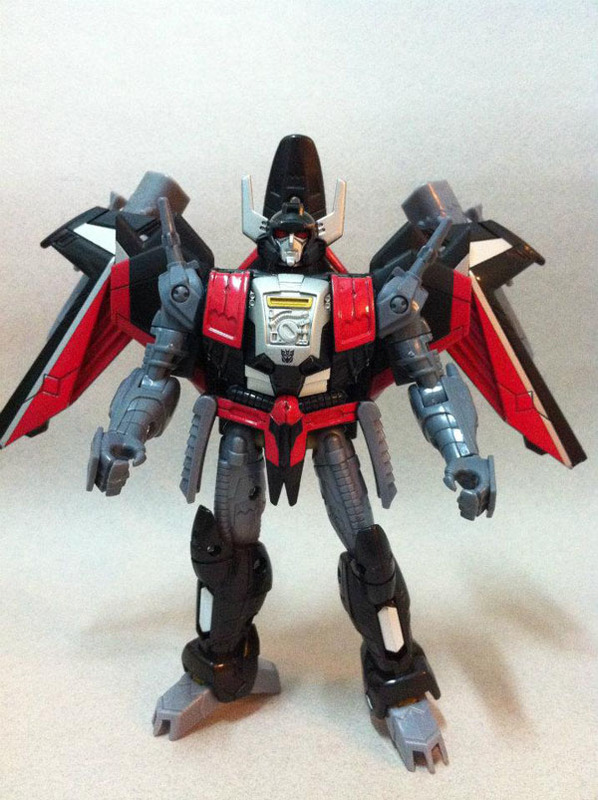 But catch one of the Autobots, or worse, a Decepticon, making a disparaging remark about Hot Rod in Arcee’s presence and the offender will more often than not find his hydraulic hoses sliced to ribbons before he knows it. 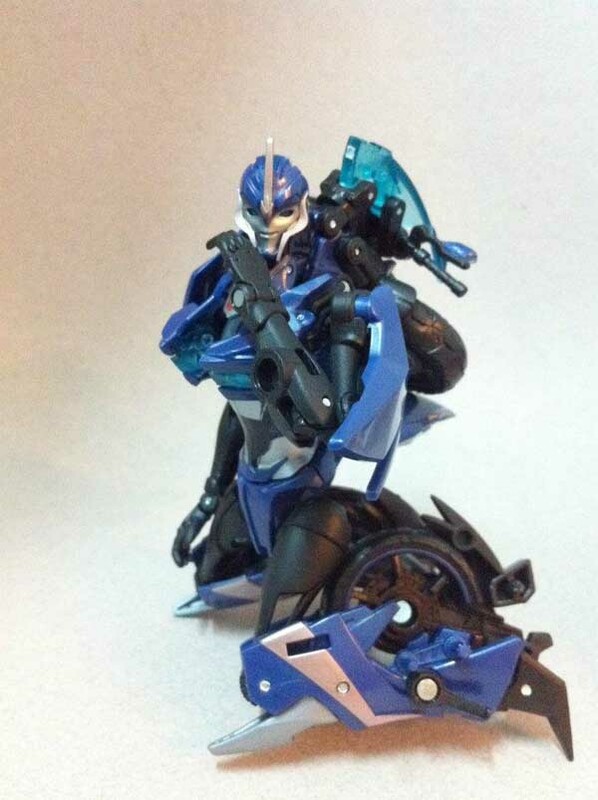 Weaknesses: Arcee’s concern for Danny sometimes causes her to take excessive risks in order to protect him.